Interval International has announced a long-term, club affiliation agreement with Plaza Hotéis. The agreement encompasses the shared ownership component of seven mixed-use properties in Brazil, as well as others that become part of the vacation club. 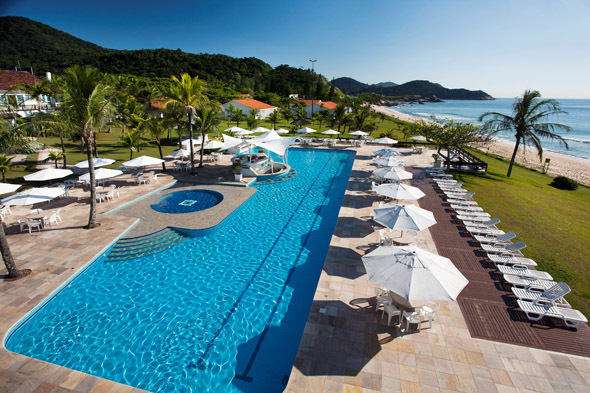 The Plaza Hotéis properties are located mainly in the southern states of Santa Catarina and Rio Grande do Sul. Here in some of the country’s most popular vacation destinations, bountiful natural surroundings, pristine beaches, historic cities, diverse cultures, and traditions of European origins, are among the visitor attractions. In the northeast, where Bahia Plaza Hotel is situated, natural landscapes, colonial architecture, culinary arts and unique blend of European and African influences drive tourists to the coastal state of Bahia.